I believe the church exists for three reasons: exaltation, edification, and evangelization. Or to put it a simpler way, the church’s focus should be upward, inward, and outward. The church exists, first of all, to glorify God. The Lord needs to be lifted up. We need to have a high view of God in everything that we say and do. The exaltation of God should be the focus of our Bible study, the focus of our worship, and the focus of why we are here. The second reason the church exists is for the edification of believers, that is, to build one another up and to encourage one another. Then, the outgrowth of that is the third reason the church exists: for the evangelization of the world. The apostle Paul reminded us that his purpose was to know Christ and the power of His resurrection (see Philippians 3:10–11). The book of Acts contains the original template for the church, the blueprint that Jesus himself gave us. This is the church that changed the world through prayer and preaching. It was all set into motion at Pentecost, when the Holy Spirit was poured out on the church. These were ordinary people, called by God to do extraordinary things. And it was the beginning of a movement that continues to this very day. The early church impacted their world with the power of the Holy Spirit, and it is the same power that is available to us today. The book of Acts is an unfinished book; it is still being written. I am not suggesting that we need to insert new chapters into our Bibles. But I am saying that Acts records the beginning of all that God began to do through the church. And chapters, in effect, are still being written today. Summary sentence: The early church impacted their world by the power of the Holy Spirit and this same power is available today! In appreciation for your gift this month to Harvest Outreach Ministries, we want to send you Power in Prayer. I want you to connect with what I believe is one of the best prayer resources ever written. 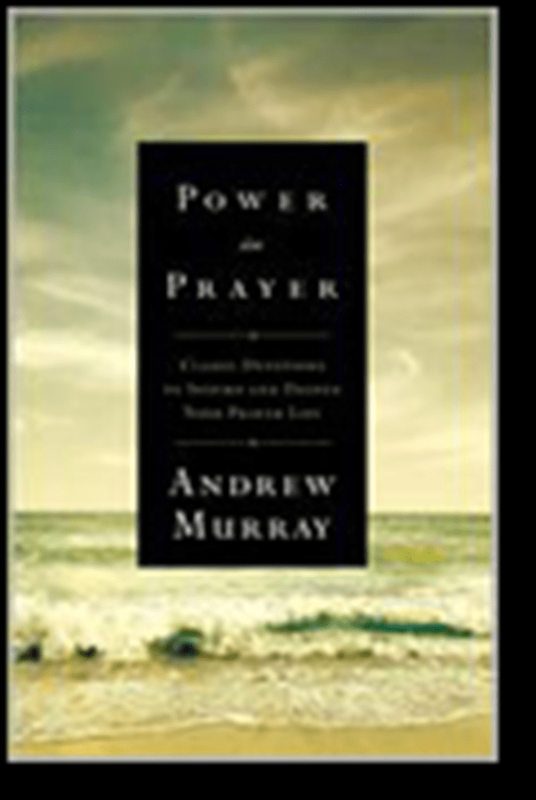 It is a book by Andrew Murray that I refer to as the ‘greatest hits’ on the topic of prayer.